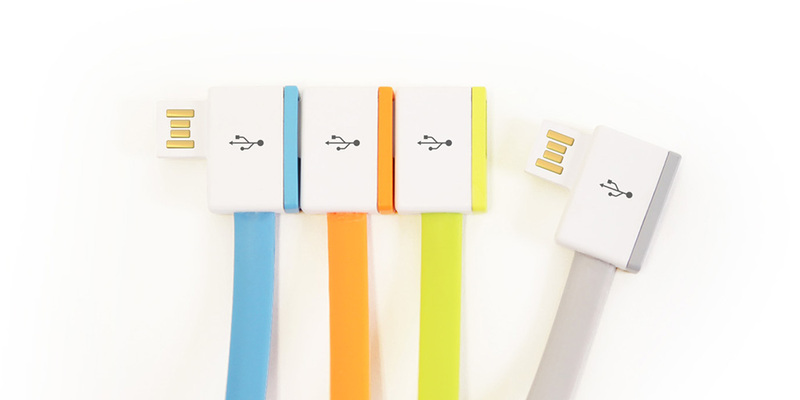 InfiniteUSB is solely and originally designed by Gonglue Jiang. It was awarded the renowned IF design award. Vojotech has highest standard of manufacturing. The USB products manufactured by Vojotech have near 5 star ratings on Amazon. 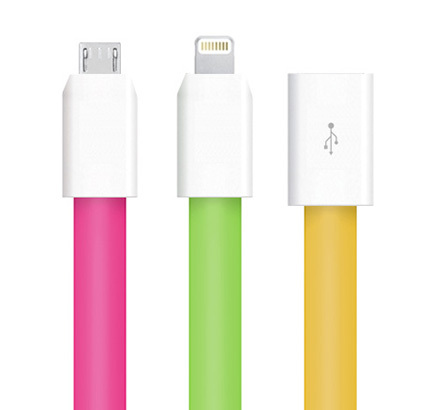 7 years USB cable manufacturing experience ensures us to produce the most adaptive USB cables. You don't have to worry about anything. We 've spent 2 years on large amount of research and testing, only to make sure the cable is highly reliable when connecting multiple devices. Five colors available, catering to your every need. Choose special edition for a larger dose of beauty or classic edition for saving money. 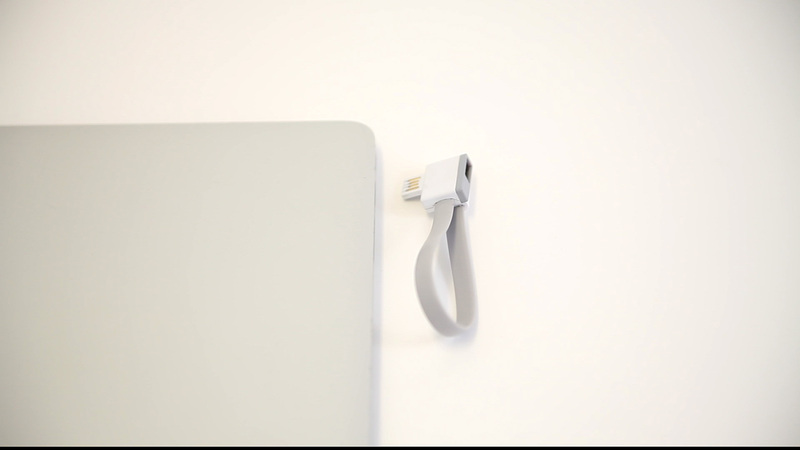 The cutting-edge design of InifiteUSB and magnet lets you say goodbye to long-wired cables and save time on hot swapping devices. 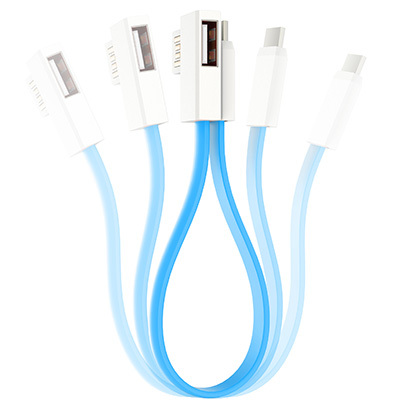 Lightning for iPhone, iPad, iPod; MicroUSB for Android, Windows, and any other phones, cameras and devices; Female USB port for mouse, printers, flash drives and any USB devices. We have a full line coverage on USB devices. It’s all on your choice. Our patented magnet design is unique. It’s perfectly engineered in these two tiny plugs. You won’t feel it exist until you fold it. It helps to make the ultimate convenience. Still struggling with those tangled cables? It’s time to say goodbye! 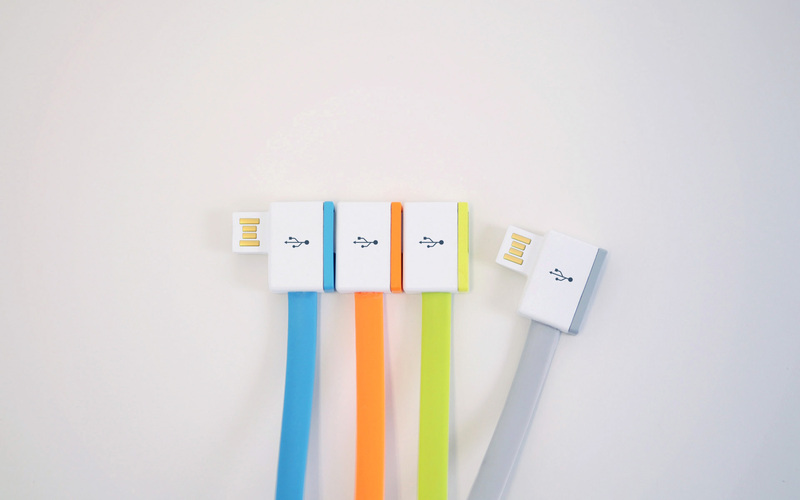 Infinite USB plug is a big idea for small conveniences. In a classic case of "why didn't we think of this first," Gonglue Jiang has shown us a new way for overcoming the limitations imposed by the scarcity of USB ports on some computers. One of the limitations on notebooks is the lack of USB ports in proportion to the number of devices we would like to hook up. 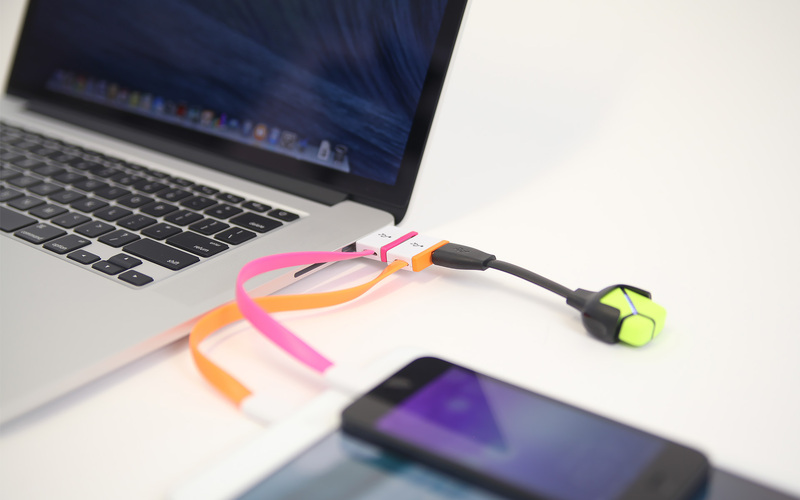 Here’s the Infinite USB – an alternative plug on devices that kinda acts like a tag team. The design speaks for itself, so no point elaborating.